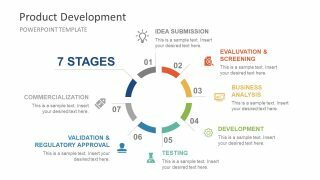 The Product Development Circular Diagram PowerPoint Template is a 7 steps process cycle presentation. 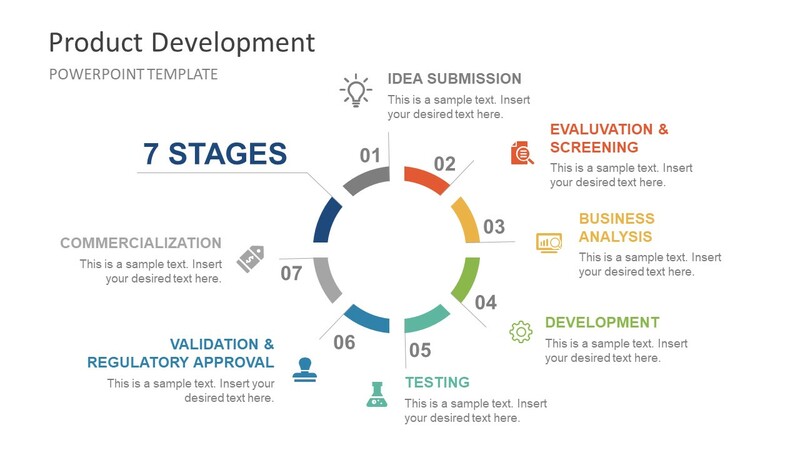 It is a product development lifecycle PowerPoint for businesses, especially startup companies. It can assist them to explain an entire process from planning and development to its marketing strategy. Although every company, big or small has its own unique business model. 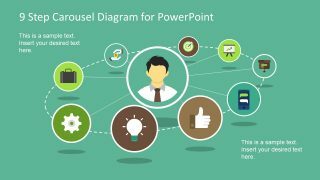 However, this product development circular diagram PowerPoint enables presenters to explain their strategies within a generic development structure. Because it presents key elements of project development lifecycle which are same for all growing companies. 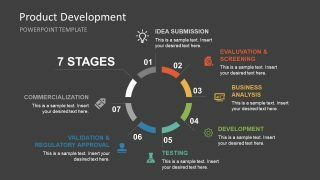 Further, this template is suitable for initial project presentations while defining the strategic approach of each process. 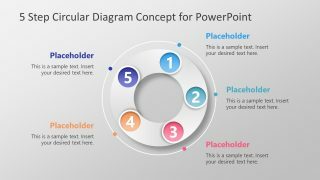 The Product Development Circular Diagram PowerPoint Template shows 7 stages in segmented donut chart layout. 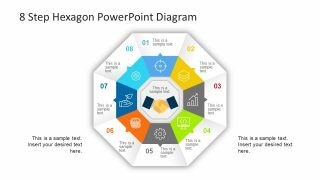 These segments provide text, numbers, and infographic icons to represent each stage of lifecycle PowerPoint. 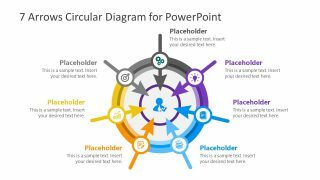 Furthermore, two slides of the similar circular diagram have different background and shape colors. The users can customize and personalize these editable slides according to their presentation needs. For example, duplicating diagram design to discuss one stage per slide. The circular diagram of product development lifecycle captures and visualize the milestones through beautiful graphic design. The users can deliver a cool process flow diagram to guide their discussions. Apart from the product development cycle, this circular diagram can inspire viewers to brainstorm for new project plans.